A franchise may be set up as a sole trader, partnership or company. Examples are McDonalds and Subway. There is no need to come up with a new idea - someone else has had it and tested it, too! Consequently failure rates are far lower than other start ups, often around one in ten. Good franchisors will offer comprehensive training programmes in sales and indeed all business skills. The business can achieve rapid growth without high capital investment and running costs. Franchisees are likely to be more motivated and committed than paid managers as increasing profits is a major incentive. Costs may be higher than expected. As well as the initial costs of buying the franchise, the franchisee pays continuing royalties and may be required by the contract to buy products from the franchisor which may not be the best or the cheapest. The franchise agreement usually includes restrictions on the operation of the business. This may prevent changes to suit the local market. The franchisee may find it difficult to sell the franchise - the terms of the contract may restrict sale to someone approved by the franchisor. Reduced risk means you mean lower profits. For the franchisor, there is a risk that a poor or unscrupulous franchisee may affect the brand image of the entire business. 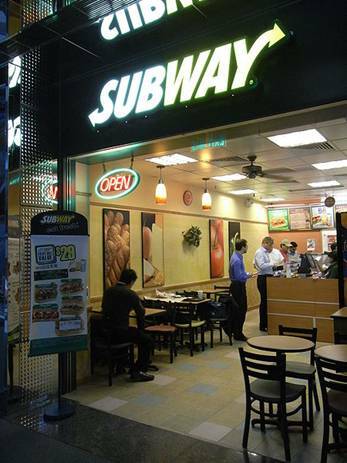 It is not unknown for franchisees to 'steal' an idea and then set up in opposition. Franchisors attempt to prevent this by restrictions in the franchise contract, but it may be very difficult and costly to enforce. Franchising is a major growth area in many countries, because this model is considered far less risky and less costly than setting up a new business from scratch. 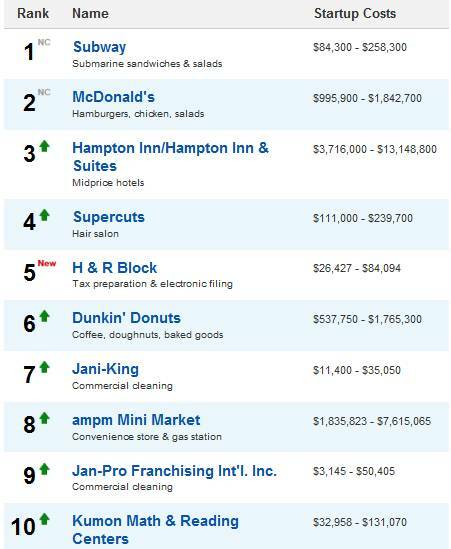 Entrepreneur magazine produces an index of the top 10 global franchises (you can see the 2011 results here). Choose appropriate options in the paragraph below to provide a suitable description of franchising. Business franchising is the granting of a license by one person (the Choose... franchise franchisee franchisor profit share royalty trade mark ) to another (the Choose... franchise franchisee franchisor profit share royalty trade mark ), which entitles the franchisee to trade under the Choose... franchise franchisee franchisor profit share royalty trade mark or name of the franchisor. The Choose... franchise franchisee franchisor profit share royalty trade mark may require the payment of a single fee, called a Choose... franchise franchisee franchisor profit share royalty trade mark , but is also likely to mean paying the franchisor a Choose... franchise franchisee franchisor profit share royalty trade mark .